This recipe tastes great, Looks great and is great. 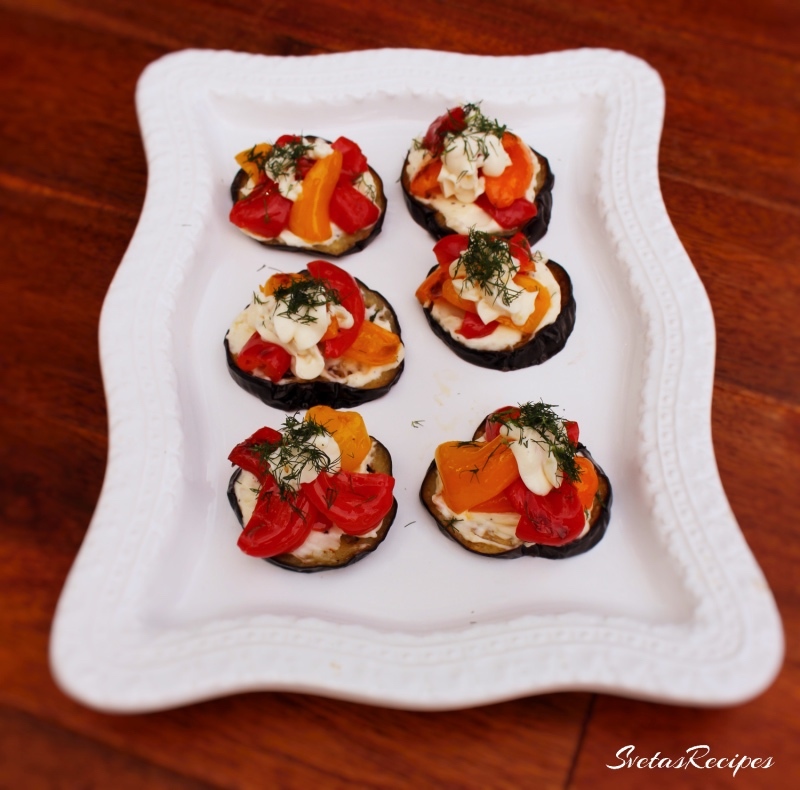 If you enjoy mini appetizers this is perfect for you! 1.) Wash dry and cut your vegetables. Place your sliced eggplant onto your hot oiled skillet. Fry for 3 minutes on each side. Place on paper towel and let it drain. Place your mayonnaise in a small bowl with seasoning and crushed garlic. 2.) Cut your peppers and dills. 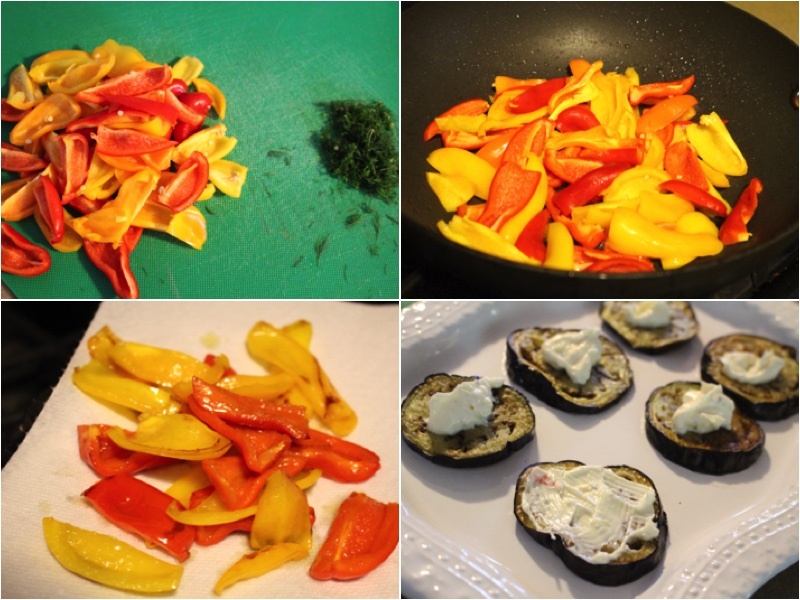 Place your peppers into the same hot oiled skillet and fry for 4 minutes while mixing and drain on a paper towel. Place your eggplants onto you’re serving dish and spread your mayonnaise mixture on top. 3.) Last but not least add your peppers to the top of your eggplants. Add more of your mayonnaise mixture and add more peppers on top. Sprinkle dills lightly and ENJOY! Wash dry and cut your vegetables. 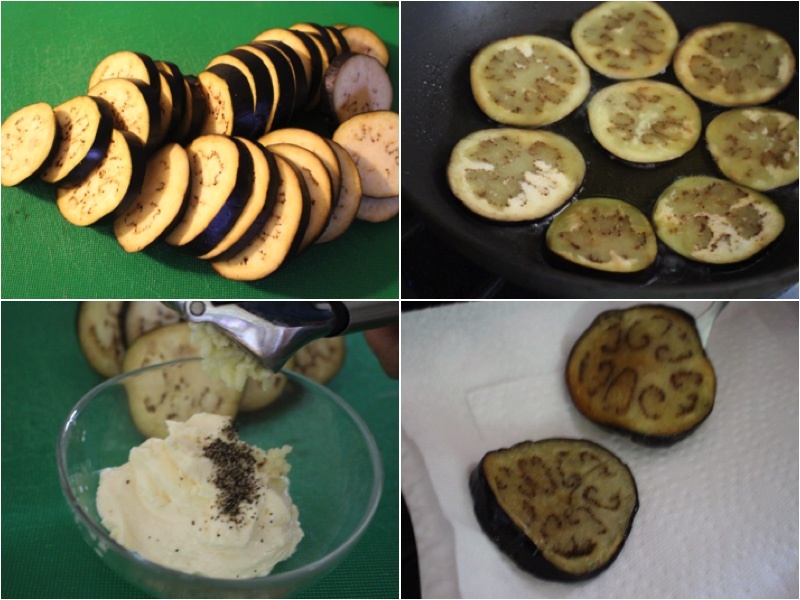 Place your sliced eggplant onto your hot oiled skillet. Fry for 3 minutes on each side. Place on paper towel and let it drain. Place your mayonnaise in a small bowl with seasoning and crushed garlic. Cut your peppers and dills. Place your peppers into the same hot oiled skillet and fry for 4 minutes while mixing and drain on a paper towel. 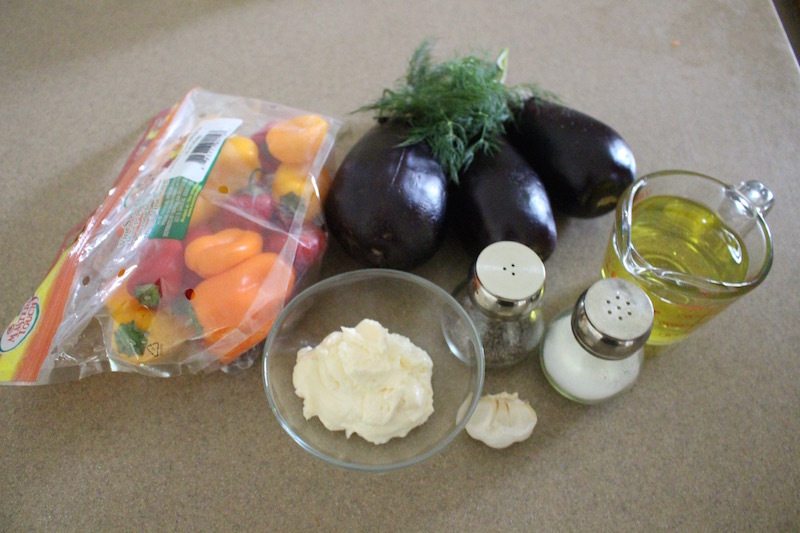 Place your eggplants onto you're serving dish and spread your mayonnaise mixture on top. 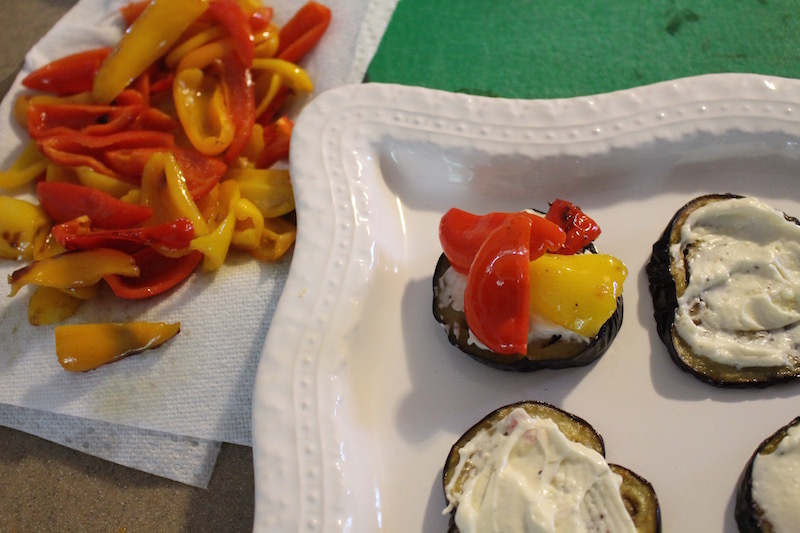 Last but not least add your peppers to the top of your eggplants. Add more of your mayonnaise mixture and add more peppers on top. Sprinkle dills lightly and ENJOY!